Steve Stone of Nelsonville has been named the 2011 Ohio Outstanding Tree Farmer of the Year, according to the Ohio Department of Natural Resources (ODNR), Division of Forestry. In the family for nearly 100 years, Stone’s Meadowview Farm is a typical southeast Ohio hill farm in the heart of prosperous coal mining activity. Among the sustainable forestry practices accomplished by the Stone family are boundary line marking, access road and trail improvements, grapevine and invasive species control, wildlife food plots, crop tree release and timber harvesting. Additionally, Stone's Meadowview Tree Farm has been a long-time member of the Ohio Forest Tax Law program. In cooperation with several area conservation agencies, a public field day is planned for October 1 at Stone’s Meadowview Farm, which is located near Nelsonville in Athens County. The state Outstanding Tree Farmer honor is awarded annually by the Ohio Tree Farm Committee, which plans and administers the Ohio Tree Farm Program. The Ohio Forestry Association and the ODNR Division of Forestry are sponsors of the committee. The Ohio Tree Farm Program, organized in 1946, brings foresters together with landowners to apply the American Tree Farm System standards of sustainable forest management in Ohio. 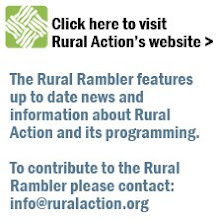 The system includes 1,700 woodland owners across the state committed to caring for their land under a comprehensive plan developed by a professional forester. 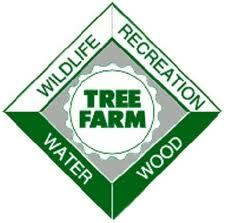 Landowners interested in the American Tree Farm System should visit www.ohiotreefarm.org. Ohio grows more acres of trees than corn and soybeans combined. The ODNR Division of Forestry works to promote the wise use and sustainable management of Ohio’s public and private woodlands. To learn more about Ohio’s woodlands, visit www.ohiodnr.com/forestry.